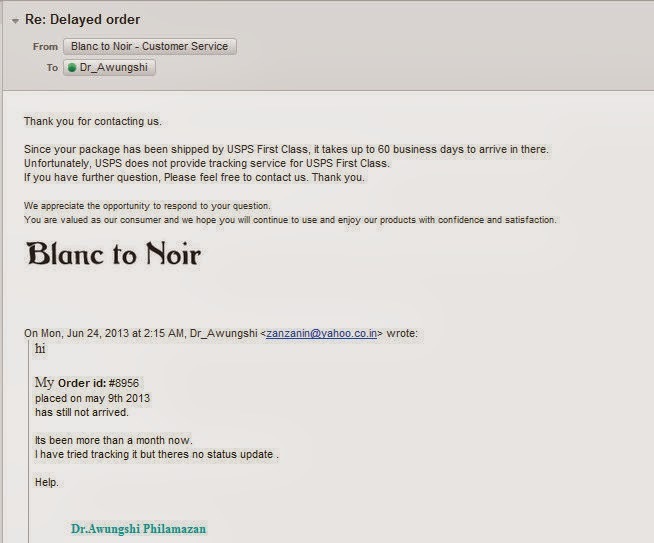 On 10th May 2013 me and my blogger friend Dolon from Poutpretty Decided to buy some NYX products from Blanc To Noir site since they were having international shipping 50% off on orders above $30. Below are the screen shots of the order no. and the products we ordered. It was already 25th June and i still hadn't received the order so i sent a mail to their customer care enquiring about it. On Aug 9th i emailed them again saying it has been more than 60 days (already 90 days) and we still haven't received their order. To which they replied on 16th Aug asking me to fill the refund/loss forms which i did and sent it back to them. They said i would get the refund within 7-10 days. It's already end of september now and there is no news from them nor have i received the refund. I am so furious and frustrated. This is the worst online shopping experience for me. I swear i will never shop from them again. If they are running an online store they should have proper customer service. What is the use of having 30%-50% off on their products and cheating people off their money. It seems like i'm not the only one facing this problem. Some of my other beauty blogger friends have also not receieved their order and even worse, the customer service is not even replying to them. We have given up hope of getting our refund/replacements. This is outrageous and after such a bad shopping experience i doubt i will ever shop from them again. I would suggest my readers to shop from them at your own RISK. hope you get your money back! already 4 months now! im furious. This is outrageous! I think even Shayoni from Sweet and bitter has lost a package! Ouch! Thats horrible!! I was looking at this site for purchasing something. Thanks for the info! I hope you get your money back soon. im not sure we'll get it back. Thats so bad. 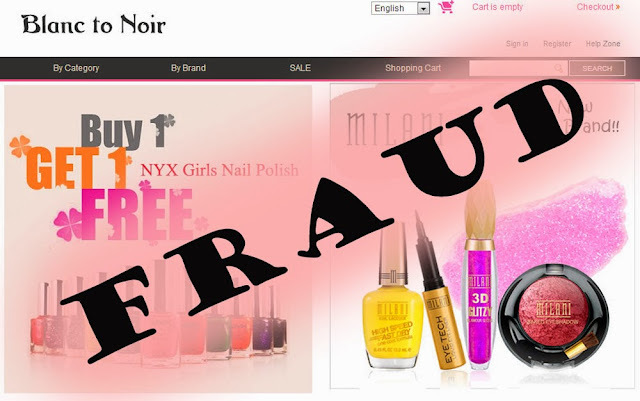 Online industry runs on trust only and there should be stricter norms for them. Hope you get your money back dear. It has been a long time !! this sounds pathetic. 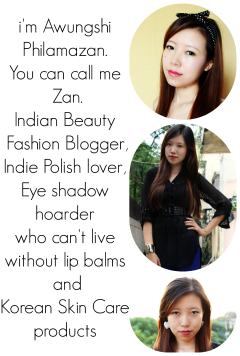 I have ordered from them last year and I got my products perfectly! One of the blush was of the wrong shade name so, they send me the actual one with no additional charges. They didn't even asked me to send a picture or send them the additional blush back! Babes, write to paypal, and dispute it with the bank ! Thanks for the informative post. This is really bad on their part...Hope you get your money. i know!!! "trust" is such a big thing when it comes to online shopping. Wow does not sound good at all! 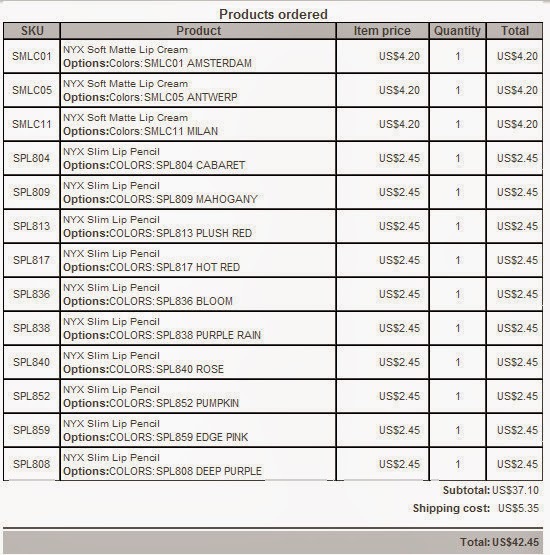 I always take plunge with small orders, I shopped NYX from B2n since my order was small I saved C.duty. Thanks a lot for sharing..v will b careful with Dem. I faced a similar issue with a recent order..it was shipped but never got delivered..even after almost 90 days...but then they refunded the amount back to my Paypal a/c after I complained within a week or two (post 90 days period) and another 5 days to clear their cheque. how much did u spend? have you emailed them? this is the reason i never buy from international online sites. dishusting!!!!!!! Thanks for letting us know about this..Hope you get back you money soon!! Wish I read your blog before I placed my order!! I usually order over the phone. This time I ordered by going on-line. They are a FREUD!!! Same thing happened with me. They sent me that BOGUS RECEIPT. I called them & kept getting a recording. Sent them an e-mail. Got a response saying they've had high volume & to be patient. This site needs to be taken DOWN. Guess ppl were commenting on FB. The comments got taken down. If you go on FB now, can't read any comments. Can't believe they are still getting away with scamming ppl!!!!! I have been ripped off by this company too. I am researching who to report them too, FTC, ripoff report? If we all reported them to a legitimate consumer protection agency like better business bureau have a better chance of shutting down this scam. They continue to have sale promo motions while they aren't shipping peoples purchases. Help shut this company down. Hey the exact same thing happened with me its been 7 months since i placed my order and paid US $100 they have just stopped replying to my queries and concerns I had even sent the damage/loss form but no response this is too much I have been looking for some place I can report to because this is just not done that is a lot of money and they are just so highly unprofessional and pathetic we should try shutting it down!!! !such shallow companies shouldnt be allowed to be online and rip people off their money so SHAMEFUL! so what happened did you ever receive it? 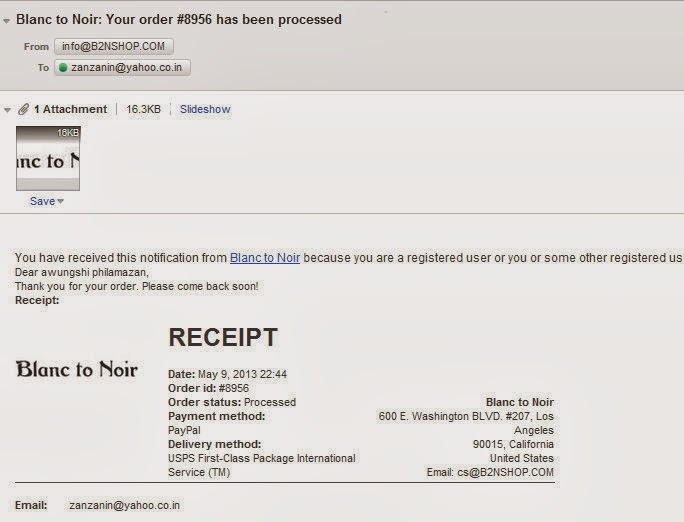 i was completely unaware of the site being a scam and made an order last week! have emailed them so many times but get no response! please tell how it turned out for you?